Giving Back & Community Service | Vogel Bros. Building Co.
Vogel Bros. believes in giving back to the community and actively supports several organizations, charities and community events. We are proud to encourage the youth in our community by sponsoring several youth organizations, Dane County schools, scholarship programs, and community non-profits through employee volunteerism, in-kind donations and financial support. Cambridge Community Library invited Vogel Bros. Building Co. to be part of their Building a Better World campaign. 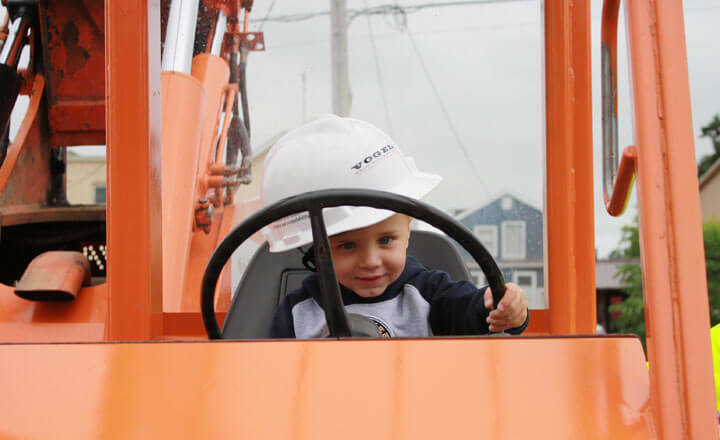 CEO and President Peter Vogel spent the morning reading to children and then invited them outside to try hardhats on and sit in the driver’s seat of a forklift. Afterwards, Vogel Bros. employees spent some time playing Legos with the kids, coloring, and drawing with sidewalk chalk. 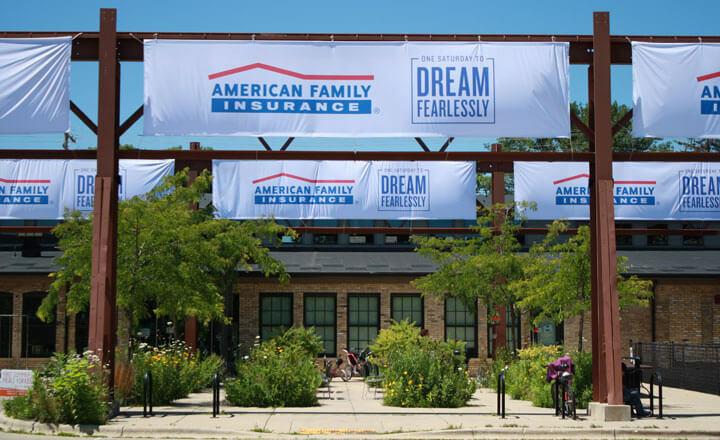 Vogel Bros. Building Co. partnered with American Family Insurance to support the Goodman Community Center at the One Saturday to Dream Fearlessly event. Volunteers packed boxes full of donations and Vogel Bros. improved the grounds of the Goodman Community Center by leading the efforts in buildng a chicken coop and greenhouse. 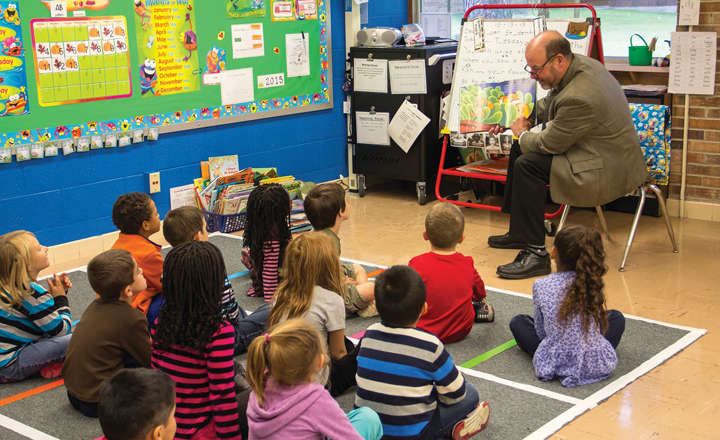 A Principal Experience unites local businesses and community leaders with Madison’s public schools. It’s a great opportunity for local leaders to experience first-hand all that school administration and staff experience daily. 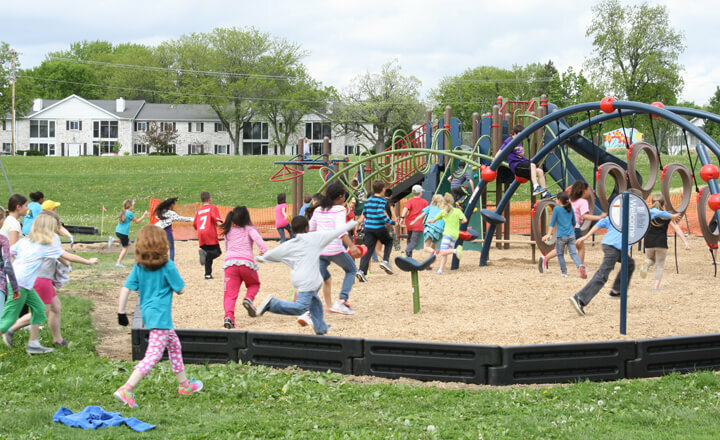 Through the “Growing Together” community building initiative, a new playground for the Gompers Elementary School was built through the volunteer efforts of Vogel Bros. Building Co., North Side Neighborhood neighbors, and parents. 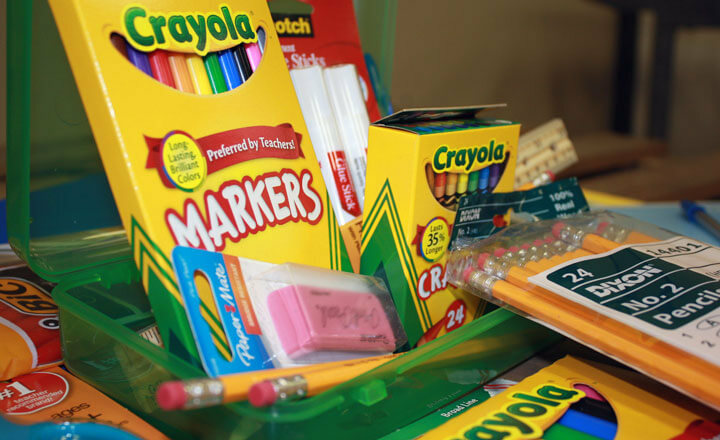 School Supplies for Kids is an annual program that purchases the basic school supplies required for each grade from a list developed in coordination with teachers, and distributes the supplies to more than 140 schools in Dane County. Vogel Bros. Building Co. and its employees annually support the United Way of Dane County through pledges, special events and corporate donations. 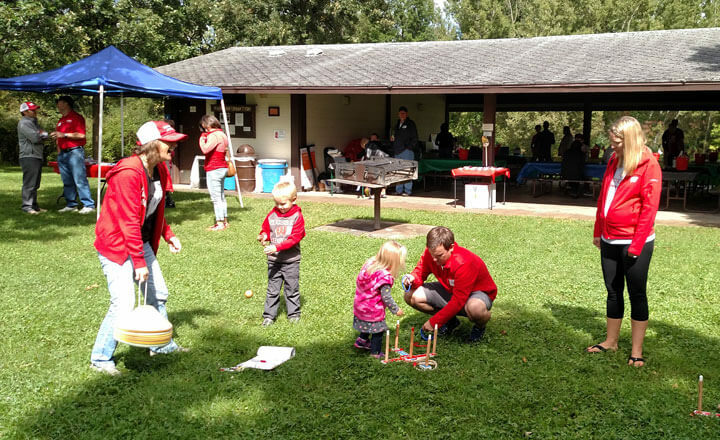 Each year the themed picnic and workplace giving campaign serves as an opportunity to support a great cause and to strengthen connections between employees. Vogel Bros.’ Safety Department is proud to promote their annual Safety Calendar VOGELart Contest. 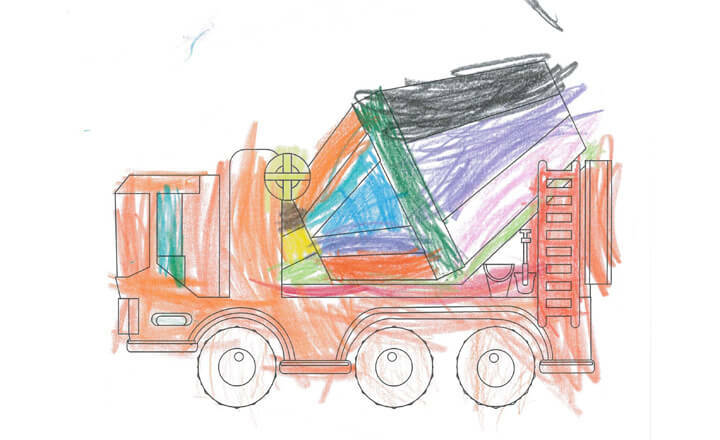 Children of employees are encouraged to illustrate what safety means to them for a chance to win a prize and have their artwork featured in a calendar. Our commitment to the growth and success of our communities is further strengthened through employee development. We believe that people are the key to our success. That’s why Vogel Bros. supports employees who are active members in their communities. We are proud to sponsor networking events, host training seminars, and encourage continued education opportunities. 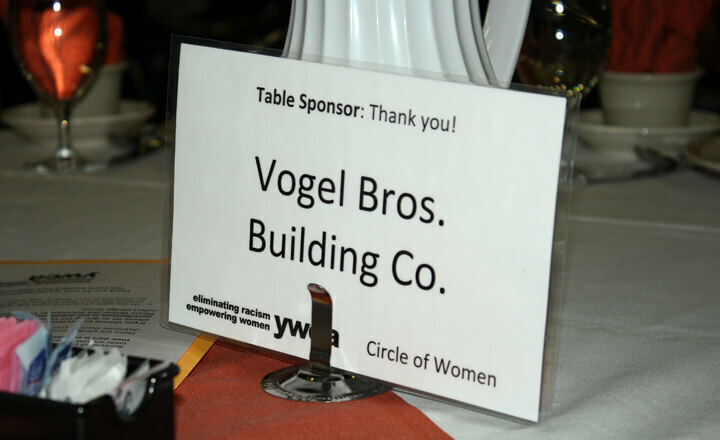 In addition to renovating the YWCA building in downtown Madison, Vogel Bros. actively supports the YWCA’s mission to eliminate racism and empower women through corporate donations, employee in-kind donations, and YWCA Board of Directors representation. SMPS is a community of marketing and business development professionals working to secure business relationships for their A/E/C companies. 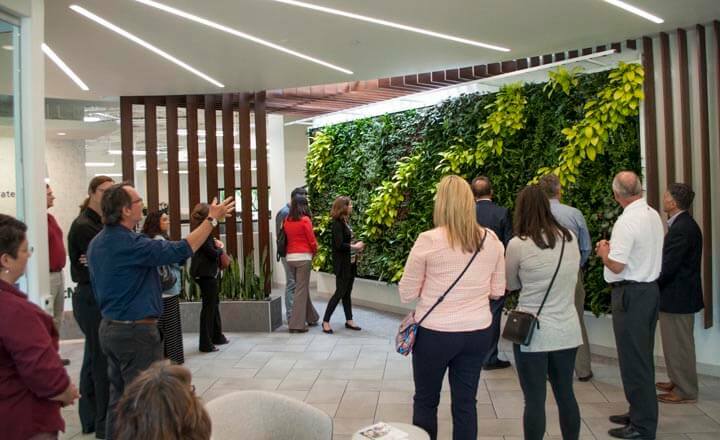 Vogel Bros. is represented on the SMPS Leadership Board and supports its employees who are members of the organization by sponsoring networking events such as LEARN Together breakfasts, event programming, and building tours.